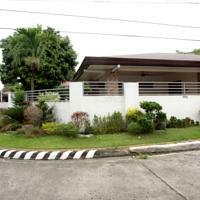 Listed Below are Holiday Homes in Manila on the Philippines Use Scroll Bar to see More. Â Makabata Guesthouse 2 stars. Accommodation. 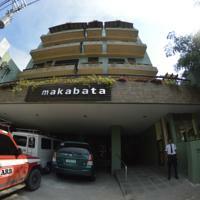 Makabata Guesthouse features private, air-conditioned rooms with free WiFi. 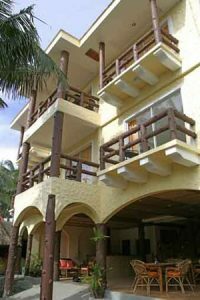 Philippines Accommodation for adventure Youth Hostels listings, Cheap Hostels available, Backpacker destinations Hostelling Backpackers hostel. Wanderers Guest House 2 stars.Accommodation. 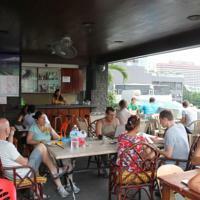 Wanderers Guest House offers dormitory and private rooms with free Wi-Fi in its common areas. Bed and Breakfast Accommodation Establishments Take A Break Holidays. 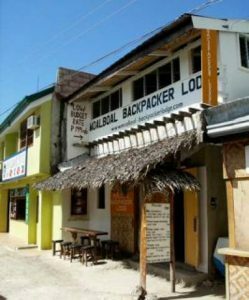 Establishments withÂ Bed Breakfast in the Philippines such as Weekend promo at Backpacker hostel Low budget backpacker hostel. Mix and woman dormitory, private rooms, BBQ station Starting at 199 Pesos (Philippines) Per Night Cebu Guesthouse Accommodation & Tour Cebu Guesthouse is located in the popular Mango Avenue. Holiday homes Casa Amiga Dos 3 stars. Accommodation. Featuring a private garden and a verandah, Casa Amiga Dos is a four-bedroom vacation house which offers comfortable rooms with free Wi-Fi access. Hotels in the Makati area of Manila. Hotels Philippines Makati Take A Break Holidays. 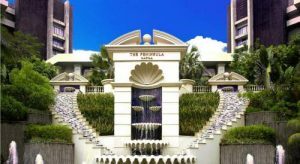 Index of Hotels Philippines Take A Break Holiday We would like to welcome you to our beautiful Philippines Hotel in the area of Manila. 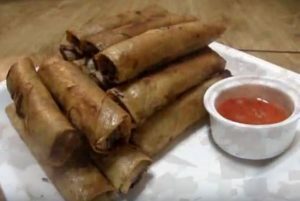 Philippines Filipino food Philippine cuisine local recipes style of cooking and the food associated with it have evolved over many centuries from its Austronesian origins to a mixed cuisine of Malay, Spanish, Chinese. Why go on holiday to the Philippines? To experience a real melting-pot of cultures from Europe and the Far East together with traditional mountain tribes. The people are exceptionally friendly and helpful, the scenery and beaches are spectacular, accommodation and food are cheap and English is widely spoken. What more could you ask for? It’s also brilliant for action holidays – sea kayaking, scuba diving, rock climbing, caving and sky diving. Many operators fly scheduled flights to Manila. Peak season is between July/Aug and December. Flight prices vary dramatically, particularly as the seasons change, but as a guide, expect flights from around Â£700 but it is possible to get real bargains from around Â£370. 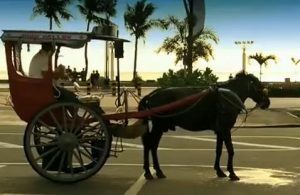 Manila is a frequent destination for people travelling on round-the-world tickets available from Â£1,000. Hotel prices vary tremendously. A dorm bed with fan will cost Â£3 a night. A mid-range hotel with air conditioning, TV and fridge will cost from Â£20. 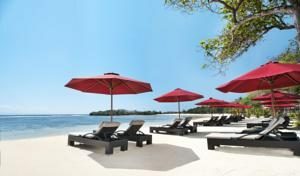 A five-night package to Cebu (the country’s oldest city and one hour from Manila), including flights and hotel is from around Â£800. Mid-December to mid-May is the off-season (typhoons) but around Christmas and Easter the transport system is bursting at the seams. January and May boast colourful festivals. March and April are the best times for island-hopping. The Tasaday people, discovered in 1972, live a stone-age lifestyle in caves in the remote Minadoo valley. Filipino (Tagalog), Spanish, English and many indigenous languages. Visa on arrival valid for 21 days. Several major airlines fly from London to the capital Manila, although most require a connection. There are countless flights between the 7,000 islands and you can buy multiple passes. Ferry and boat services are just as numerous but quality varies. There are cramped long-distance buses and jeepneys (originally reconstructed jeeps). Locally only Manila has its own bus service, but taxis, unmetered cabs and trishaws abound. Prices do vary but as a rough guide: roll of camera film Â£1.70, bottle of beer 40p, litre of petrol 20p, four-mile taxi ride about Â£1p, moderate restaurant meal Â£7-Â£10. The climate is tropical, with an average year-round temperature of 32C (90F). Summer (March-May) is always hot and dry. June to October is the wet season with heavy monsoon rains and typhoons in most parts. The coolest time is, November to February, when the maximum is around 84-88F (29-31C). Eight hours ahead of GMT. International dialling code from the UK. 220v, major hotels also have 110v outlets. Banks open from 9am to 3pm, Monday to Friday, but there are ATMs in cities and major towns. Government offices open from 8am to 5pm Monday to Friday. Most department stores and supermarkets open from 10am to 9pm, Monday to Sunday. Health – Before you go. No jabs are required but start taking anti-malarials before you go if you are planning on travelling to remote areas. There have been outbreaks of dengue fever recently but no vaccination is available. A yellow fever certificate is required if you are travelling from an infected area. Health – When you are there. Water in big cities should be safe but if at all in doubt, stick to bottled water. Rickety Filipino ferries are notorious for their accidents so don’t get on a boat if you are doubtful. The Filipino government and the Moro National Liberation Front signed a peace accord in 1996 after a 24-year conflict over Mindanao, but trouble continues so check with the Foreign Office. Numbers for emergency services vary from region to region, check when you arrive. Manila police, dial 166. British Embassy, LV Locsin building, 6752 Ayala Ave, Makati, Manila. Tel. 02 816 7116 . Lonely Planet Philippines (Travel Guide). Lonely Planet Philippines is your passport to the most relevant, up-to-date advice on what to see and skip, and what hidden discoveries await you. Swim at secluded beaches in the Bacuit Archipelago, take part in a colourful fiesta, dive remote reefs and magnificent walls at Apo Island or Balicasag; all with your trusted travel companion. 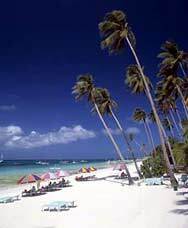 Take A Break Holidays takeabreakholiday, Philippines Accommodation.